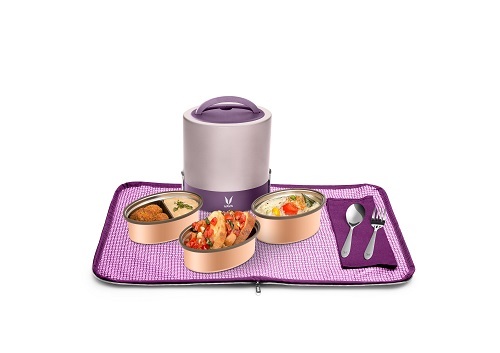 Get ready to change the way you eat lunch each and every day with the Vaya Tyffyn lunchboxes! Now available in the Philippines, the Vaya Tyffyn was designed by a team of highly seasoned professionals all acrossthe globe. 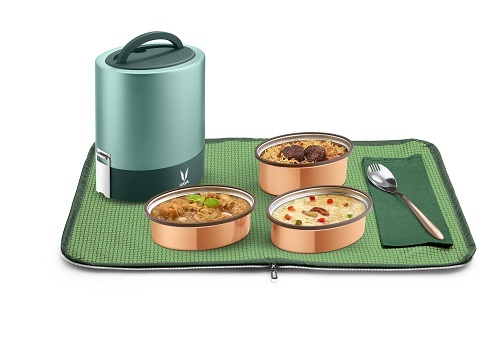 Vaya seeks to improve the way people take food on the go with a product that is stylish, durable, and travel-friendly. The practice of carrying a lunchbox often continues into adulthood, with many taking a packed lunch to workin order to enjoy a healthier and fresher meal. Yet, despite the efforts at re-heating food, lunches never taste as fresh as it should be. Enter: the Vaya Tyffyn. The design defies the conventional approach to pre-packed meals by providing consumers with the option to pack a multi-course meal every day instead of the typical combination of rice and a main dish. The Vaya Tyffyn comes in three different sizes for all appetites; 600ml (two containers), 1,000ml (three containers), 1,300ml (four containers). Whether it’s a quick lunch at the office or a day-trip with your friends, the Vaya Tyffyn is sure to become a staple in your life. 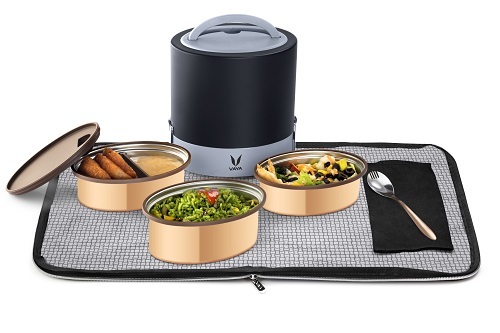 Safe, sleek, and sustainable, the Tyffyn ensures your food stays fresh and warm; ready to enjoy at your own convenience. Experience a new and exciting world of freshness with Vaya.